Some children are born with holes or clefts in their lip or palate (roof of the mouth). This can cause severe difficulties with speech as well as with eating. 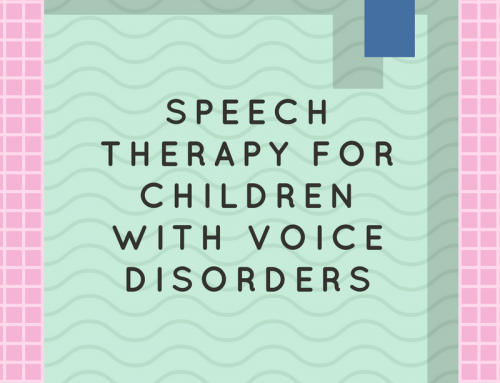 These structural problems are often fixed with surgery as early as possible but even with surgery, speech therapy is still often needed to help the child produce speech sounds clearly. 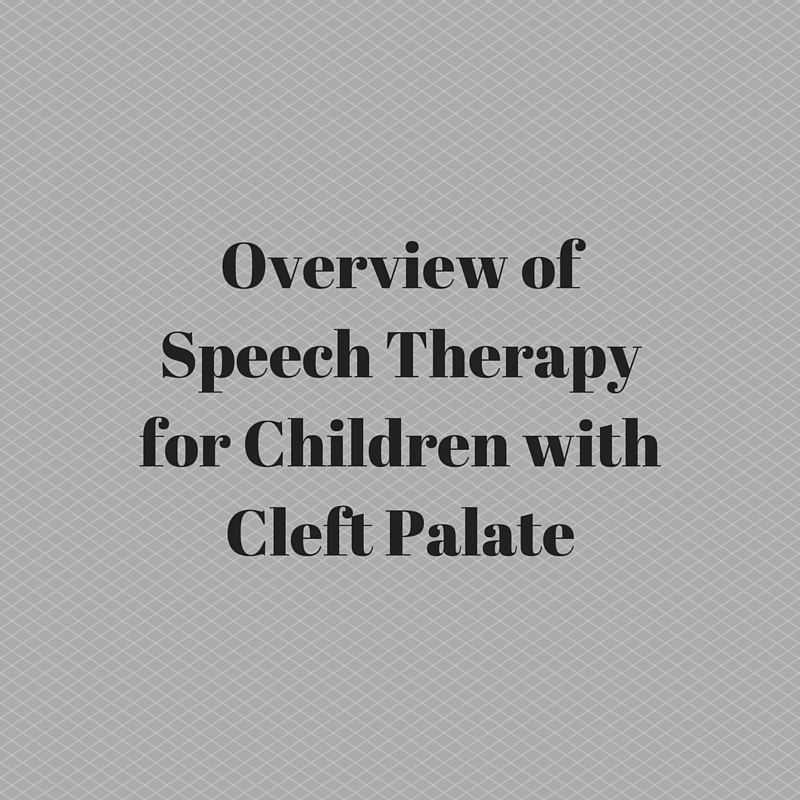 Here is an overview of what speech therapy looks like for a child with a repaired or unrepaired cleft lip or palate. The next thing you will need to do with a child with a history of cleft lip or palate is to check his/her hearing frequently. Children with these conditions are more prone to conductive hearing loss later in life so their hearing should be checked regularly throughout childhood. Make sure hearing is checked at regular intervals but also perform additional checks if you feel that something is wrong. The quicker we can catch hearing problems, the less of a problem it will become. 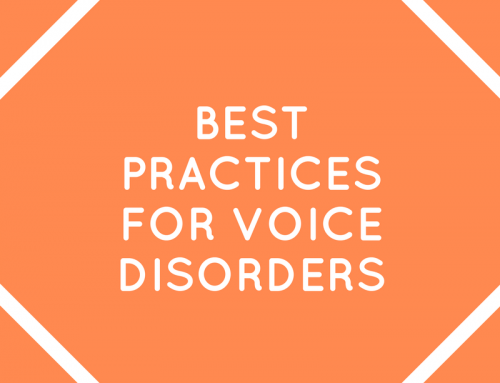 Establish correct oral articulatory placement and/or airflow direction and pressure build up at the target place, using behavioral, articulation (motor-phonetic) therapy. This goal includes a lot of skills that have to do with getting the mouth to do the correct thing to produce speech sounds. We can target getting the articulators (tongue, lips, etc.) in the right places, keeping the air flowing out the mouth instead of the nose (unless it’s a nasal sound), and building up air pressure to produce certain sounds (like stop-plosive sounds). We can do this using behavioral and articulation therapy. Maximize the intra-oral air pressure build up during speech sound production. Children with cleft lip and palate often have trouble building up air pressure to produce speech sounds. This may be from structural problems that still exist (like holes in the palate) or it may be due to habits that the child learned when there were structural problems even though those problems have since been fixed. We can teach children to build up the air pressure for speech sounds as best as they possibly can based on their current structures and limitations. 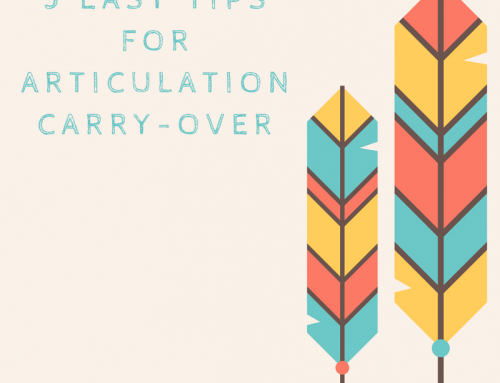 Teach new motor speech patterns to replace compensatory maladaptive articulation errors. When children with un-repaired cleft lip and palate learn to speak, they tend to compensate for structural problems by either putting their articulators in the wrong positions or replacing difficult sounds with easier ones. After the clefts are repaired, these children often still use those errors because of the habits they have formed. Our job is to help them un-learn those incorrect ways to say speech sounds and learn the correct ways instead. Once we’re ready to dive into doing therapy with these kiddos, we first need to identify limitations of the child’s structures. 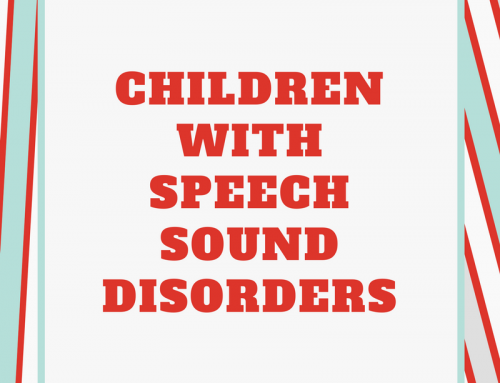 Which speech sounds is the child physically able to produce? This will depend not only on the structures present (are there holes in the palate?) but also the child’s ability to move those structures. For example, if the child has an adequate soft palate but is unable to raise it up to close off the nasal cavity, we must consider that as a limitation for oral speech sounds. Information about the child’s oral structures and function should come from the child’s cleft palate team. They will be aware of all problems that the child has with structures or function and will be able to advise on appropriate appliances or prosthetics to assist the child, if needed. Speak with the child’s cleft palate team about what sounds the child is physically able to produce and which ones will be impossible for the time being. After speaking with the child’s cleft palate team, you should have a nice list of the sounds that the child is physically able to produce. Check that list against the sounds that the child is currently producing incorrectly. If you see a sound (or many sounds) that the child should be able to produce correctly but is not, you can target those in therapy. In therapy we will work on these sounds by correcting the child’s placement and production using a typical articulation therapy. This means, we’ll show the child where to put his articulators and how to move them to produce the sound correctly. If you need more resources on how to do the articulation approach to therapy, check out my All-In-One Articulation Program and Materials Kit! Provide verbal feedback on whether or not the child is letting air come out the nose. Place a mirror under the nose and instruct the child to watch for it to fog up. If it fogs up, that means there is air coming out through the nose. Use a tool that will measure the amount of air coming through the nose and provide immediate visual feedback, such as a See Scape. If the child is not physically able to produce a certain sound, you can work on finding the closest approximation for that sound that the child is able to do. What can the child do with his mouth that will make it sound the most like the correct sound? This will take some trial and error of asking the child to do different things with his mouth and articulators and listening to hear which one sounds the most like the correct sound. Once you find the child’s closest production, teach the child that placement and work on correct air flow with that sound. Get it as close as possible to the original sound so that others will have a better chance of understanding the child. If the child is about to get surgery to correct the physical limitations that prevent the child from producing the sound, you can teach correct placement for that sound ahead of time to get a head start on therapy once the surgery is completed. Some children with cleft lip and palate will have a difficult time communicating with those around them due to the limitations of their oral structures and functions. If you are working with a child who has highly unintelligible speech or is becoming frustrated by the fact that others can’t understand him, you can always look for alternative or back-up ways for that child to communicate when his speech isn’t quite enough. For the clinician treating individuals with resonance disorders, oral-motor exercises, specifically non-speech tasks (e.g., blowing, whistling, sucking, horn therapy, palatal massage, etc.) are typically not effective in treating any speech errors. 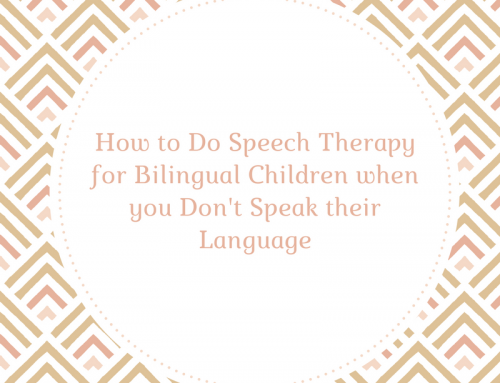 This information comes from the American Speech-Language Hearing Association and is based on reviews of the current literature and research of what is effective for children with speech and language disorders.